Seoul was selected Monday as the South Korean candidate city for a joint Olympic bid with North Korea. 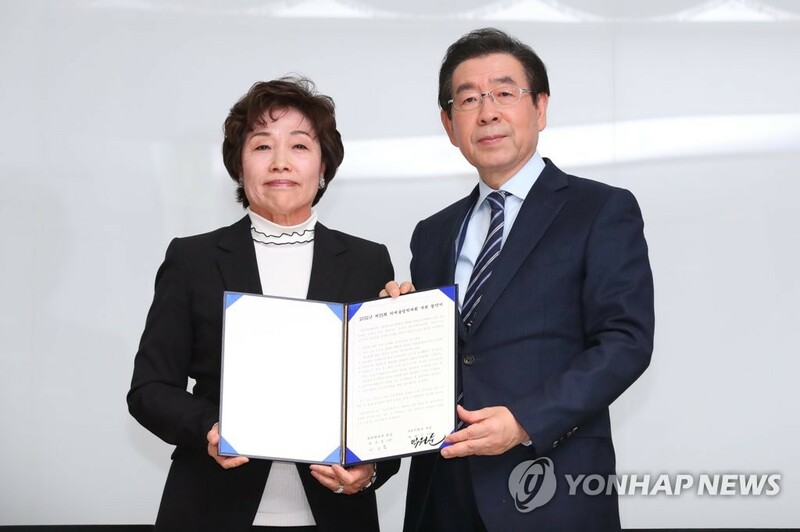 The Korean Sport & Olympic Committee (KSOC) said Seoul was chosen over Busan as the candidate city for the 2032 Summer Games at its general assembly at the National Training Center in Jincheon, North Chungcheong Province. Seoul earned 34 out of 49 votes from KSOC members. Before the vote, Busan, South Korea’s second largest city, located 450 kilometers southeast of the capital, proposed that it and Seoul become co-candidate cities, but its offer was rejected. South Korea plans to co-host the 2032 Olympics with North Korea as the two sides agreed at their sports talks last year. They are scheduled to submit a letter of intent to the International Olympic Committee (IOC) on Friday, when sports officials from the two Koreas and the IOC meet in Lausanne, Switzerland. North Korea has yet to announce its candidate city, but Pyongyang is considered a certain pick considering its infrastructure. Under the process, South Korea had to select its candidate city before submitting its bid to the IOC. The KSOC completed on-site inspections of Seoul and Busan from Jan. 23-25 before putting the issue to a vote. Seoul now has a chance to host the Summer Olympics for the second time. The South Korean capital city hosted the country’s first Summer Games in 1988. It hosted the Winter Olympics last year in the alpine town of PyeongChang in Gangwon Province. North Korea has no history of hosting the Olympic Games. 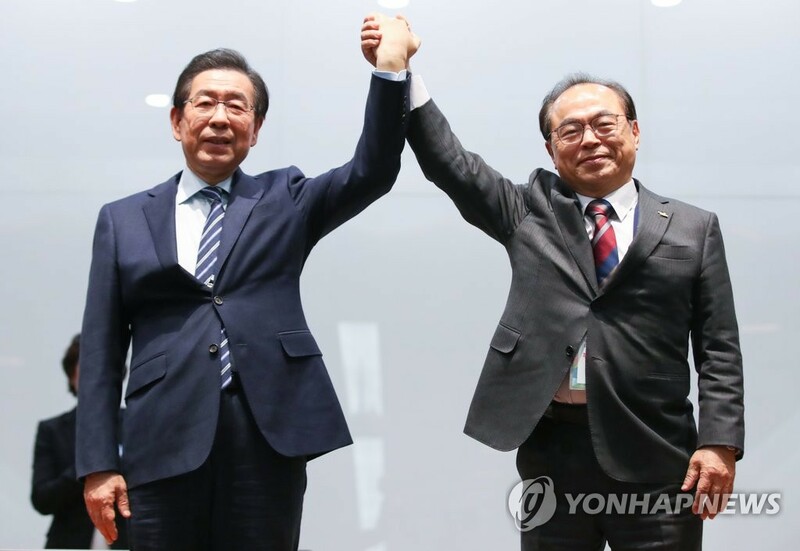 The mayors of the two cities, Park Won-soon for Seoul and Oh Keo-don for Busan, each gave a presentation before the KSOC voters. Presenting first, Oh called for a joint Busan-Seoul bid in the South and said Pyongyang should team up with another North Korean city to give the Olympics to four co-hosts. Oh highlighted Busan’s history of successfully hosting other international sporting events and meetings, including the 2002 FIFA World Cup, the 2005 Asia-Pacific Economic Cooperation (APEC) Summit and the 2014 South Korea-Association of Southeast Asian Nations (ASEAN) Summit. Oh noted that only five cities have hosted multiple Summer Olympics, and Busan’s hosting of the 2032 Games would ensure the balanced development of the country. Park cited Seoul’s proximity to Pyongyang and to Incheon International Airport, the main gateway to South Korea, and its history of various cooperative projects with Pyongyang. 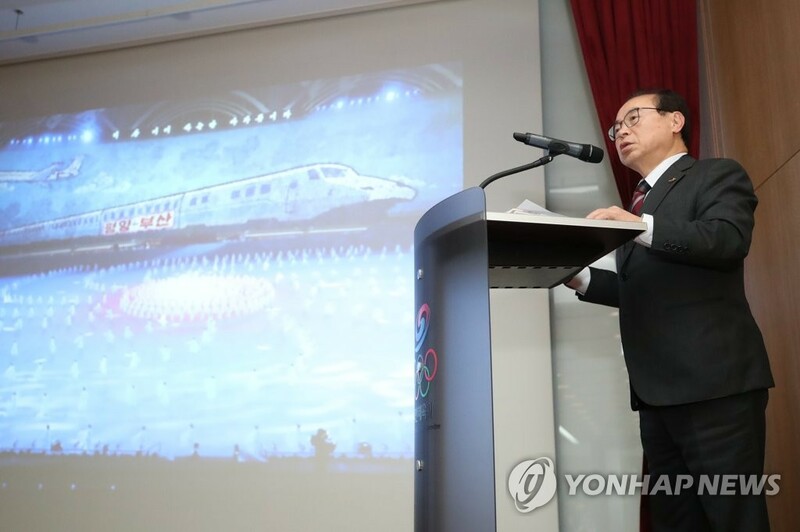 Park said Seoul will seek to hold the opening and closing ceremonies with Pyongyang simultaneously, using 5G technology. 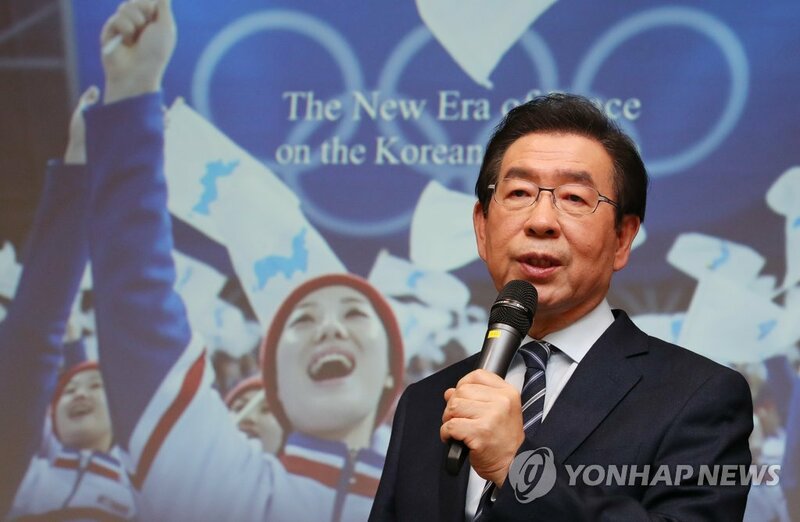 Thanks to Seoul’s experience of having hosted the 1988 Summer Olympics and the existing facilities from that competition, bringing another Olympics to the city will help save costs, the mayor added. Seoul estimates that in order to host 33 sports over 15 days in the two Korean capitals, it will cost the South alone about 3.8 trillion won (US$3.4 billion). Seoul and the central government will each cover about 1.1 trillion won, while the organizing committee will pick up the rest. These estimates don’t include social overhead capital investments. So far, Germany, Australia, India and Indonesia have shown their interest in hosting the 2032 Olympics. The IOC typically narrows down the list of candidates to three and selects an Olympic host city seven years in advance, meaning the Koreas’ fate, if the two survive the cut, will be determined in 2025. Though certain events at the Summer Olympics, such as preliminary football matches, are usually held outside the host city, no Olympic Games, summer or winter, have borne the names of two cities in their official emblems. In 1920, Belgium’s Antwerp hosted the Summer Games, and it shared some events with another Belgian city, Ostend, and the Dutch capital, Amsterdam. In 1956, Melbourne, Australia, was the host of the Summer Olympics, but some equestrian events were held in Stockholm, Sweden, due to strict quarantine regulations in Australia. According to the Olympic Charter, the IOC Executive Board may authorize the organization of Olympic competitions outside the host city or country for reasons of geography or sustainability.